Joint Swelling: What Causes Joints to Swell? Was the Onset of Joint Swelling Sudden or Gradual? There are different reasons as to why people have swollen joint or the causes of joint swelling. How the joint pain occurs can give a clue of the cause of the joint pain. Some joint pain will occur suddenly while others will occur gradually. Rheumatoid arthritis or osteoarthritis joint swellings are usually gradual but very harmful. Septic arthritis and other crystal-induced arthropathies’ joints swellings are sudden. The joint swellings can be experienced within two weeks. Sometimes, osteoarthritis joint swellings can be sudden. For example in the case of erosive osteoarthritis and inflammatory osteoarthritis, the joint swellings can be acute. This is usually accompanied by tenderness and pain. What cause joints to swell? Joint swelling is caused by some conditions such as osteoarthritis, injuries or cartilages wearing off. Osteoarthritis means wear-and-tear and it usually happens with aging, resulting to the swelling of joints that bear weight over lifetime such as knees, feet, hips, and spine. 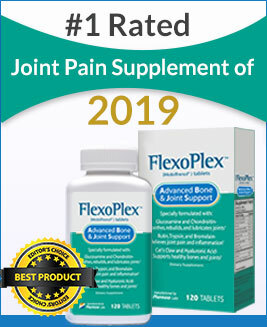 Joints swell due to the wearing of cartilages, inadequate joint lubrication leading to joint stiffness and friction as well as supporting body weight over a long period of time. They also swell when a person remains motionless over a long period of time or undertake intensive tasks. Do you Have Daily Pain or Stiffness in your Joints? Joint stiffness can be a sign of arthritis and is usually experienced when there is no movement of joints for a long period of time. For example, they can be experienced early in the morning when you are from sleep or they can be experienced when you lead a sedentary life such as staying indoors without engaging in physical activities. In cases of osteoarthritis, the stiffness can last for almost half an hour while in the cases of systemic lupus erythematosus or rheumatoid arthritis the stiffness can be present for more than an hour. If you take a minute more to find relief from the ailing joints, you will definitely come across a pain supplement which can eliminate the pain totally. One supplement you shouldn’t miss is known as Omega XL. It is a joint pain supplement designed to treat joint stiffness, swelling, etc. What are the Diseases that Cause Joint Pain and Swelling? This is a type of arthritis which causes acute pain stiffness and joint swelling. The disorder commonly affects the big toe and the joint swelling can be continuous unless the disorder is treated. Long period of joint swelling, stiffness and pain can result to a permanent damage to the joints, tendons, and other tissues. Gouty arthritis is caused by excess uric acid in the blood which forms hard crystals in the joints. Gout can affect more than one joint such as the foot, knees and the ankles. This is an autoimmune disorder that causes severe inflammation to the joints, body tissues and organs. RA commonly attacks the synovial joints. The disorder can affect people of all ages. The cause of RA is not known and its symptoms are recurrent. RA can cause fatigue, joint and muscle pains, lack of appetite, joint stiffness, low grade fever, and fatigue. Osteoarthritis also known as degenerative joint disease or osteoarthritis is a disorder that cause breakdown of cartilage of the joints such as the articular cartilage and subchondral bone. The disorder commonly affects the knee, feet, spine, and the hips. Osteoarthritis is one of the common forms of arthritis and it affects over 25 million people in America. Osteoarthritis is common to men before the age of 45 and common in women after the age of 45. Psoriatic arthritis is also known as arthropathic psoriasis or arthritis psoriatica. This is a form of arthritis that is common to people with psoriasis; a disease that affects the skin. Psoriasis occurs when there is excess production of skin cells after the immune system mistakes normal skin cells for pathogens. Swelling, pain and inflammation can be experienced in the spine and fingertips if you have psoriatic arthritis. Ankylosing Spondylitis is one of the causes of swelling in joints and chronic inflammatory disease that affects the spine. It usually affects the sacroiliac joints which join the spine to the pelvis. Infectious arthritis also known as septic arthritis usually affects tissues and the joints. Infectious arthritis is usually caused by bacteria such as staphylococcus aureus and neisseria gonorrhoea. It is called infectious because it moves from other parts of the body to the joints through blood. Infectious arthritis commonly affects the hips, shoulder, ankle, wrist, and the knee. Bursitis causes inflammation of the bursae which are located between tendons, muscle, skin and bone. Bursitis is commonly caused by injuries, repetitive movement and aging. It is common to adults who are above the age of 40. This is inflammation of the tendons. It commonly affects the upper and lower limbs and in rare cases, it affects the hips and torso. Are you at Risk for Joint Pain and Swelling? Is Joint Swelling a Primary Symptom of Arthritis? When you have arthritis, there is increased amount of fluids in the joint which result in swelling. Joint swelling is common in inflammatory types of arthritis. 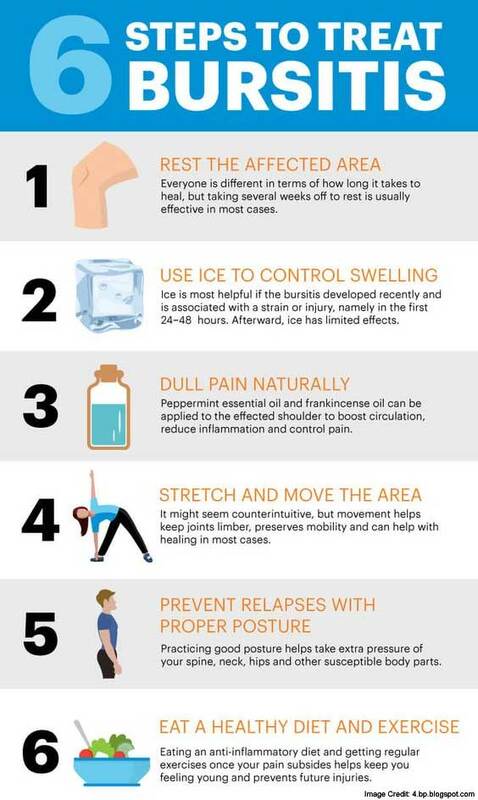 How to Avoid and Treat Joint Swelling? Inflammation of joints may occur due to many reasons, from physical injury and strain to arthritis. Consuming prescription drugs or painkillers every time make your joints swell up. So, it is good to know how to reduce swelling and pain in a natural and healthy manner. Simple and small habits make a huge difference in how well one can manage such issues. Being cautious during your daily activities can help prevent swollen joint which are as a result of fall and overuse. Swollen joints can be treated according to their cause. 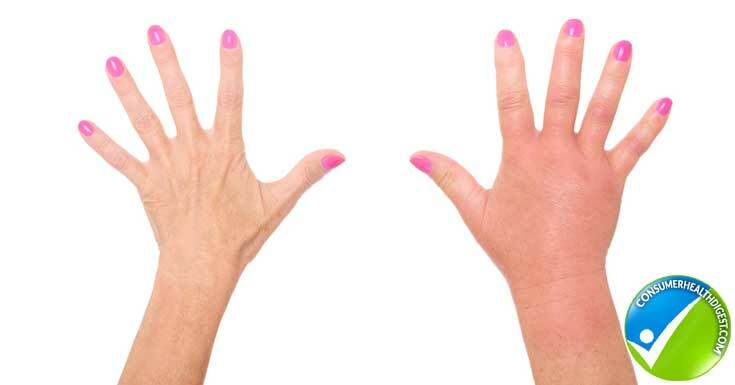 Swollen joints caused by osteoarthritis, psoriatic arthritis, ankylosing spondylitis, and rheumatoid arthritis can be treated using non-steroidal anti- inflammatory drugs (NSAIDs). Disease-modifying anti-rheumatic drugs (DMARDs) can also be used to treat inflammatory types of arthritis. Oral steroidal medication can also help in reducing painful and swollen joints. Colchicine is used to treat acute gout while infectious arthritis can be treated using antibiotics. This usually takes a few minutes. It can be done multiple times a day if one chooses to do so. You may also consider applying HondroCream if the pain is recurrent throughout the day. Folic acid and the other B complex vitamins aid the functioning of our bodies and therefore inflammation as well. Although it is hard to determine what the exact functions are, there is a definitive positive relation between blood rich in these nutrients and reduced inflammation in the joints. This may help people with arthritis and related ailments. Foods rich in vitamin D are highly recommended. Vitamins A, C, and E are common antioxidants known to benefit those suffering from such ailments. Foods that are rich in these vitamins are carrots, citrus fruits, nuts, and beans respectively. There are some joint pain relief supplements available in the market which contains antioxidants. Theraworx Relief is one of them. Swelling is the body’s way of coping with irritants in its natural environment. To accelerate this process, a high intake of fluids can help very much. Water cleanses the system and helps wash out such irritants faster. Many of us wonder if exercising is one of the methods of reducing joint swelling or if it would make matters worse. The truth is, resting the body allows the swelling to settle. If you continuously avoid using your joints though, you may end up having a hard time re-using them once they are healed. On the other hand, if you decide to work out to an extent where the body cannot handle the pressure, it is just as bad, or probably even worse. The best solution is to mildly exercise (physiotherapy), with regular intervals or rest, of course. Even simple activities like walking/bicycling to the supermarket can give your body a good exercise. When people exert, they are multi-tasking at high levels, not allowing the body to concentrate on the damaged parts. When asleep or inactive, the human body has the advantage of being able to allow the healing process to take place without causing further damage. This is why getting a good amount of sleep is important. Nevertheless, if these so-called proven ways do not work or turn out to be futile you can consider using a joint supplement for a change. How about reading Omega XL review which is one the most reviewed supplement on the market today. This supplement might be a solution to all your joint problems including joint swelling and stiffness. Joint pain and swelling can be caused by several factors, therefore, it is advisable to discuss with your medical doctor to know which treatment is best for you. Or else if you wish to go for a non-prescription supplement, there are many options available on the market. Check out Kirkland Glucosamine & Chondroitin Review which might be a decent option for joint pain relief.